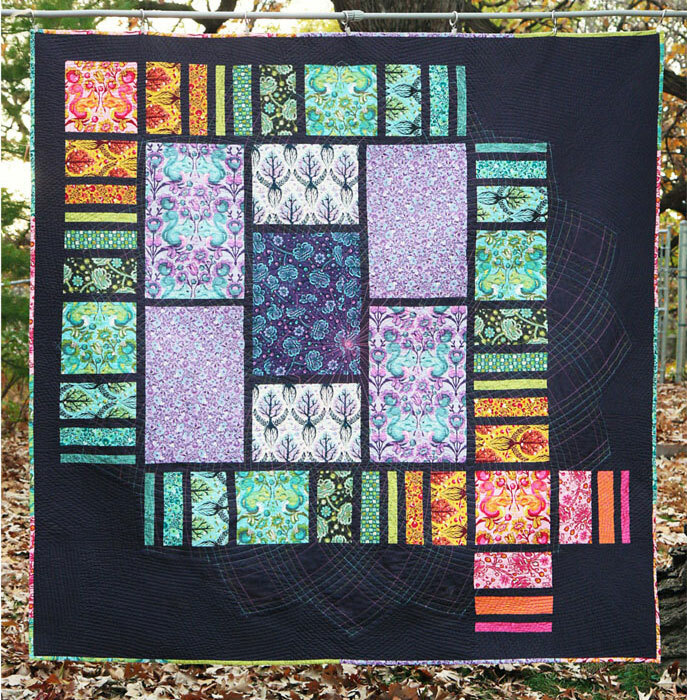 This quilt started out as being the backing for my Squirrely Dahlia quilt, as I wanted to make that quilt extra special and double-sided. I used the same fabrics as the front (Tula Pink’s “Birds and the Bees” line). I cut and arranged them into a gradation surrounding the large blocks of purple I had left, trying to make the layout simple and graphic.